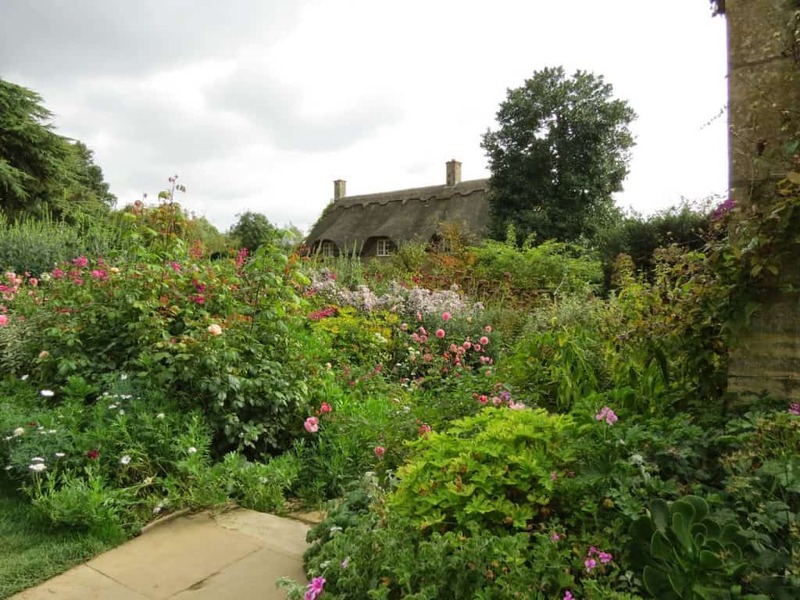 A couple of months ago I wrote about my visit to the Garden Museum and the phenomenon of British gentleman farmers and gardeners who transformed it from a utilitarian craft to an art form. Well it turns out that one of the best examples of this…was a Yank! 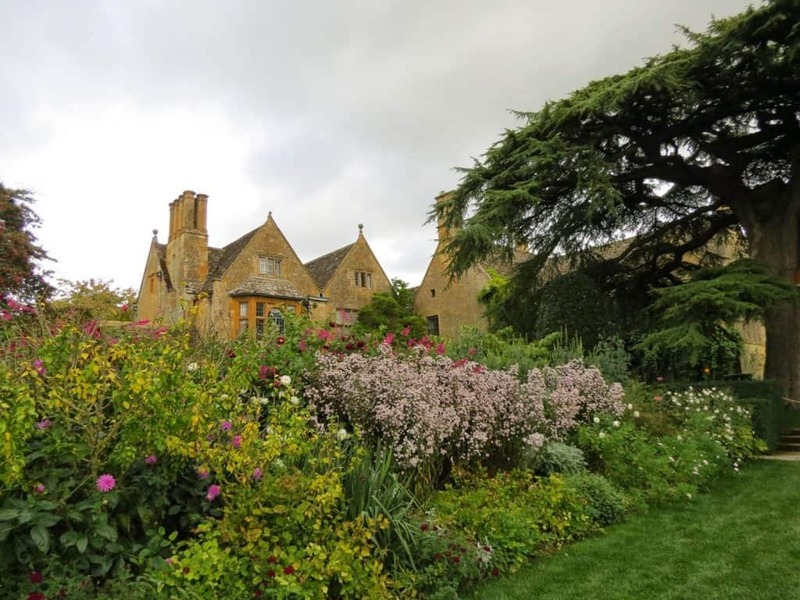 I might be a city mouse but I headed to the country this month and got a chance to view one of the gardening gems of Britain: Hidcote Manor, near the Cotswolds. One of the many entrances to the garden. 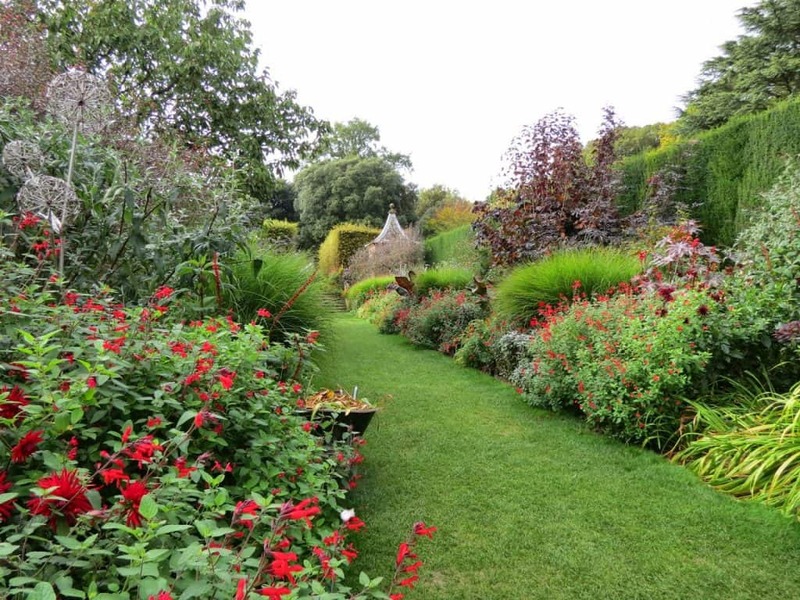 The brainchild of Major Lawrence Johnston, who moved to Britain in 1900 and worked on his garden for the next several decades, Hidcote is an absolute beauty. At one point, he had 12 gardeners working for him! His vision set a new standard for gardens in England and his style has been widely imitated ever since. The layout is based on a series of “rooms” or sections, each with different types and colors of plants represented. Gardens serve as statement of their time and place as much as architecture. In the 17th century the passion was for severely symmetrical layouts with geometric designs—largely representative of man’s dominance over nature. In the Enlightenment and into the Romantic periods, this severity was thrown out the window and replaced with the idea of a natural landscape. The irony here is that a tremendous amount of effort was often expended to make a garden or park look “natural.” The grounds at nearby Blenheim Palace, for instance, were rearranged so intensively by the wonderfully named landscape designer Lancelot “Capability” Brown, that an artificial lake could be introduced. 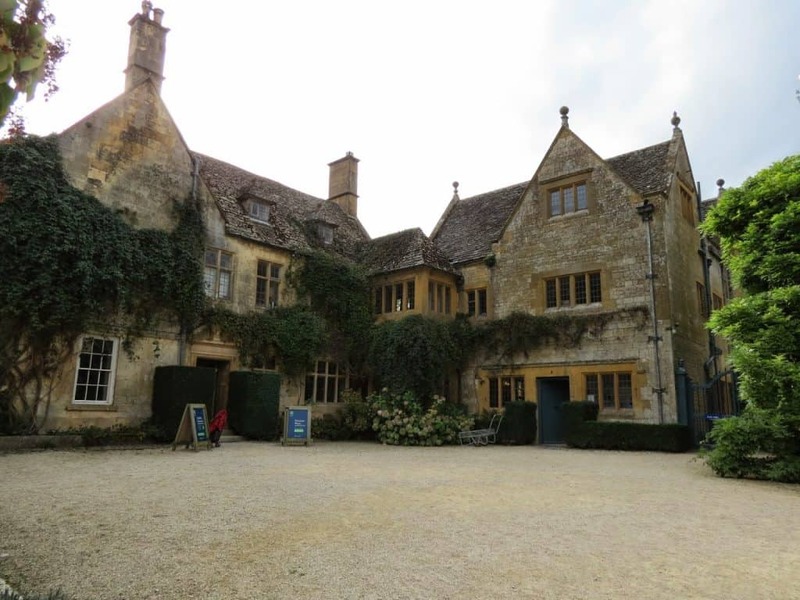 Hidcote is no different. To my untrained eye a number of the “rooms” looked like forest or messy mixes of foliage, but the number of gardeners and volunteers working to get the land ready for fall and winter clearly showed that even the wildest looking landscape was a carefully manicured illusion. The thatched house in the back was actually one of the homes Lawrence provided for his many gardeners. 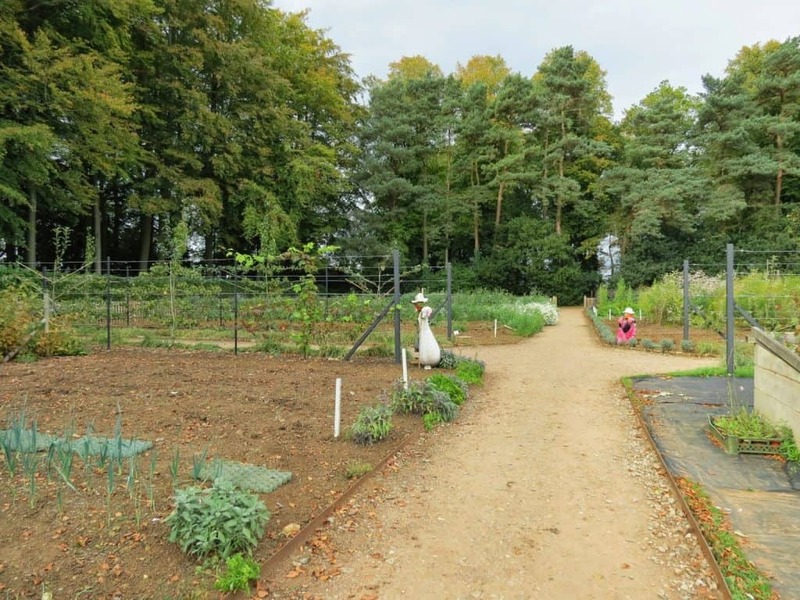 I found the formal gardens very beautiful, but what I really enjoyed was the Kitchen Garden. 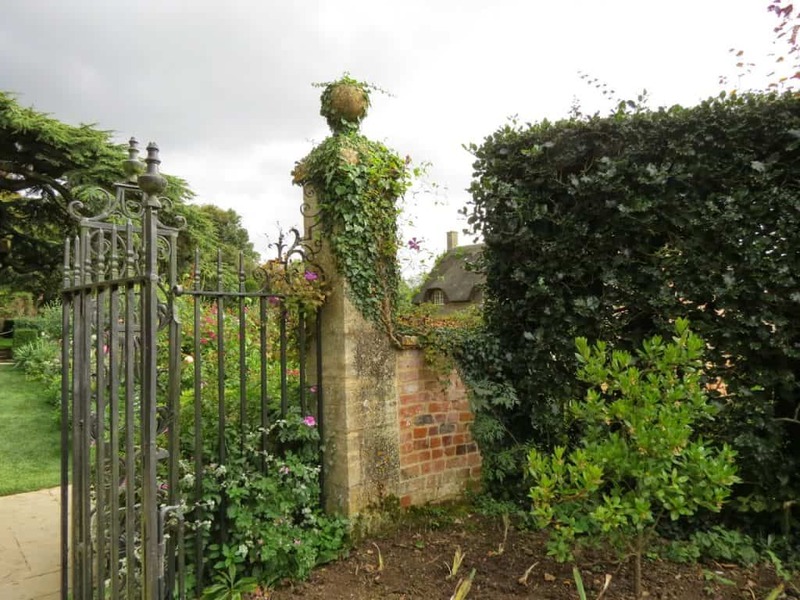 At one point in history all manor houses (indeed most houses in general) would have had an attached food producing garden that would have been worked and harvested throughout the year. At Hidcote I got to see how the beds were being seeded and harvested in strips according to the season so that it is kept in almost constant production. Even at the very tail end of summer, when I visited, fruit and vegetables were growing and being picked for sale and consumption. They might be less glamorous than the manicured lawns that Major Lawrence dedicated his life to, but it was great to see how they formed a vital aspect of the household. Beauty and function side by side. 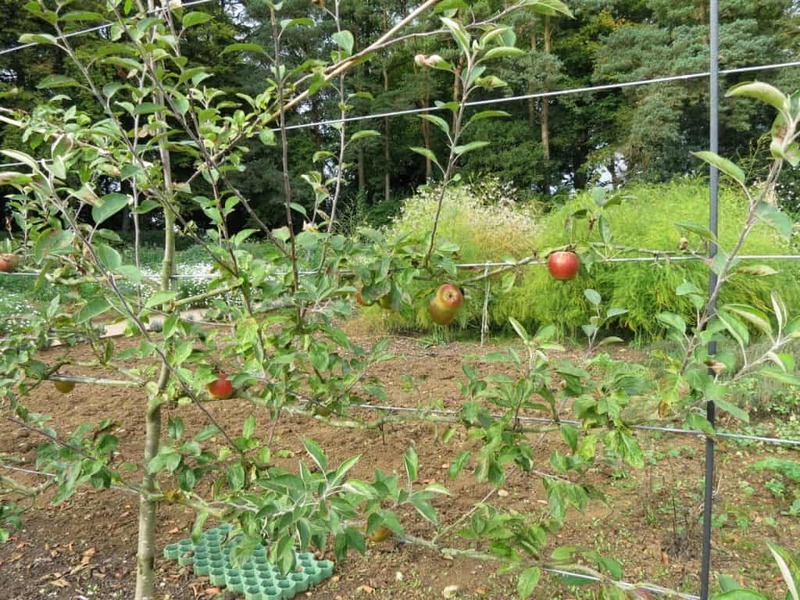 Early fall in the kitchen garden. 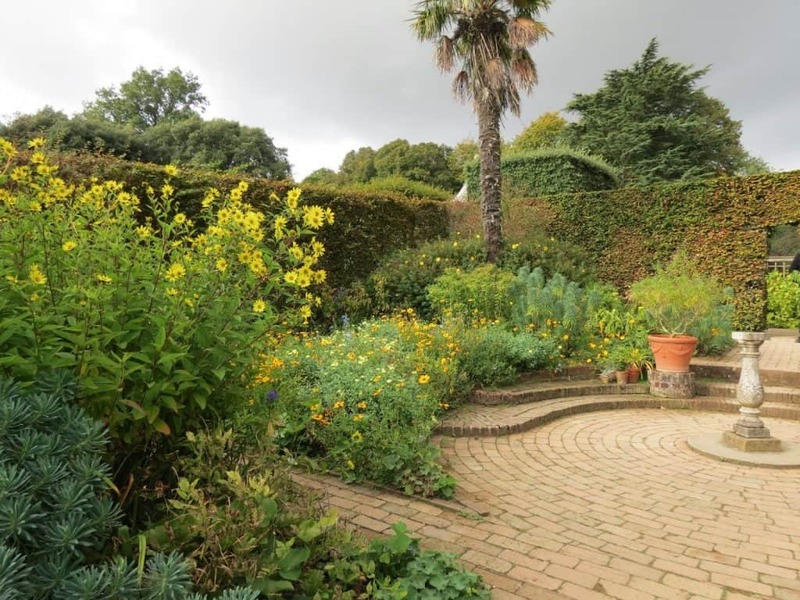 I have absolutely no issues with gardening for pleasure and tremendously enjoyed Lawrence’s work, but I did find it interesting to see how much effort was expended on land that “produced” very little. While just behind the hedgerow a much smaller amount of land produced a great deal, and probably with less intensive labor. Modern yards and lawns are one parallel that came to mind, I know that in many areas a lot of work is put into them, but they can be a horrible drain on water resources and often come at a high environmental cost. And in the end, we get very little out of them. I had to wonder about the amount of work we put into aesthetics in our home and land spaces, and how much more we could be doing with them. What do you think about modern aesthetic gardening? Do you think it serves a worthwhile purpose or has it replaced food and production gardening entirely? 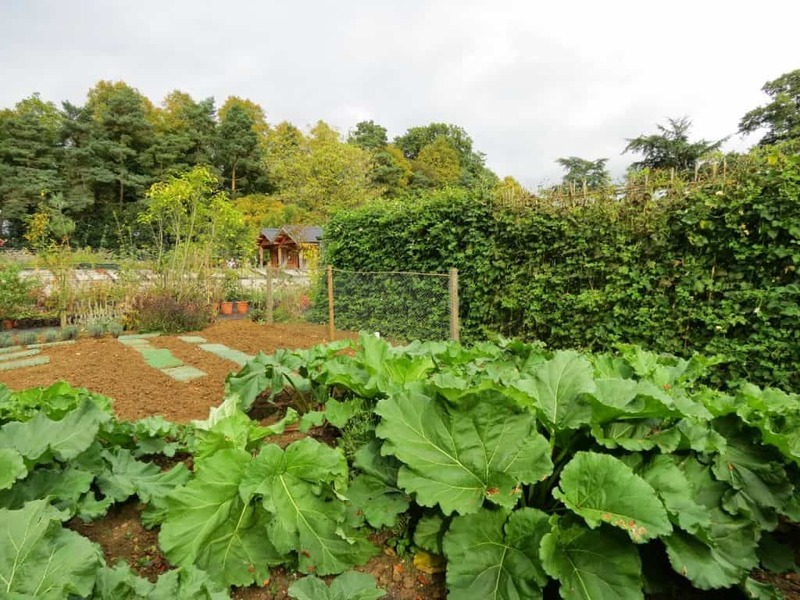 What would it take to bring the idea of an everyday “kitchen garden” back into wide use? Nice post. Thank you for sharing your ideas with us.